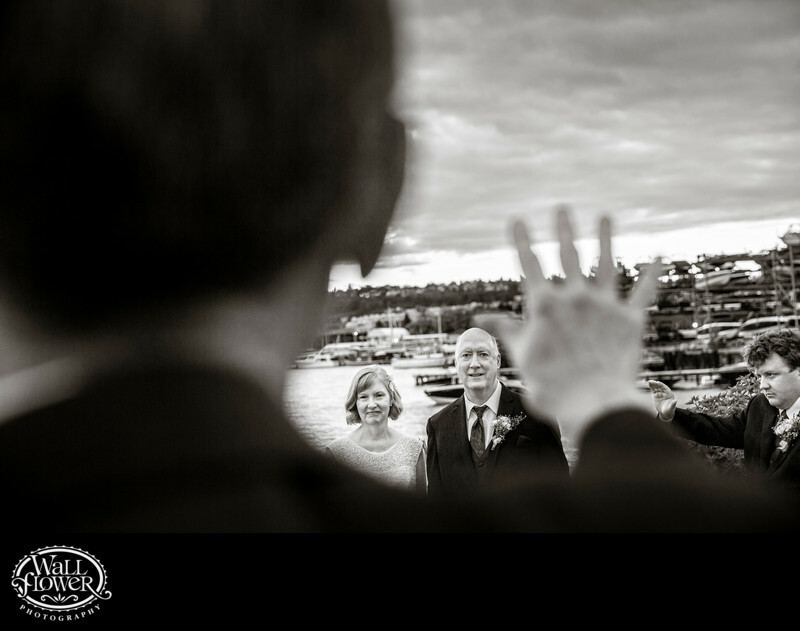 When the weather allows, wedding ceremonies on the MV Skansonia, a historic ferry boat turned wedding venue, usually take place on the back deck with a view of Lake Union and Seattle behind. For this wedding ceremony, the officiant moved to take a position in the aisle so that the bride and groom would face their audience. At this point in the ceremony, all the participants and guests were raising their palms to the bride and groom in a show of support, and I tried to frame their faces between the officiant's head and hand, with the groom's adult son and best man also visible in the corner.